We live in a world where everything has become so easily accessible. Planes, trains, and automobiles have taken away the struggles of fording the river, dying of dysentery, or worrying about having a spare axel. Dating apps have made it easy to find the perfect soulmate, even if he/she may be a total creep. Online shopping has made basically anything and everything accessible right at your fingertips. Shoot, Amazon now even offers groceries to be delivered right to your door! Because who really wants to people watch at Wal-Mart and actually have to carry your groceries to your car. Organized exercise is a more recent development to compensate for our lack of physical activity. Before everything was so easily accessible, humans had to work for the essentials we take for granted. We are no longer placing stresses on our bodies to survive. And on the flip side of that, our bodies will respond to the stresses we are not placing on them. If you are not using it, you will lose it. Bad movement patterns, obesity, and injuries are more prevalent than ever due to our modern way of living. Functional exercise helps us mimic the movement patterns of our ancestors, so our bodies’ can function the way they are supposed to. Bare foot/Bare Hands Training: Proprioception helps with our body awareness. Training without lifters or the most expensive running shoes allows our feet to provide feedback to our entire body. Performing a squat or deadlift without shoes (or knee sleeves for that matter), your feet may provide feedback from stabilizing muscles you have not engaged before. 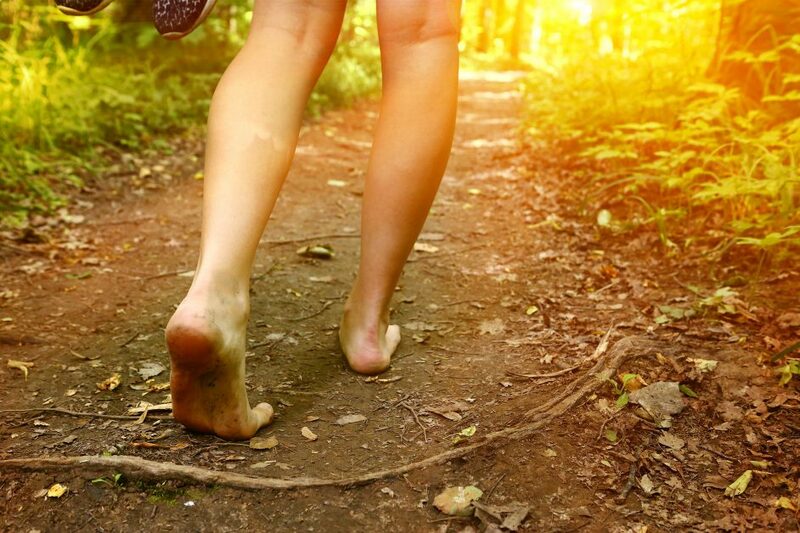 Walking barefoot is another way our bodies can provide feedback. And come on guys, who doesn’t like to walk around barefoot. If I could do it all the time, I would. Breathing: Breathing is probably the most neglected aspect of functional training, but arguably the most important. Breathing can help unload spinal flexion. This is important because I feel like most people spend their day with their spine flexed in some way (desk job, driving, looking down at our phones, the list could go on). Prayer breathing, T-spine rotations, and cat cows are some examples of exercises we can perform to help with spinal flexion. Bear Crawl: I know what you’re thinking. I am not in third grade gym class, why is my trainer making me do bear crawls. Bear crawls are great for shoulder and core stability and it still surprises me the difficulty people have in performing this movement. Bear crawls also add an aspect of body awareness. Being able to keep your back flat, core engaged, all while moving limbs contralaterally, is important for functionality. Uneven Carries: Carrying loads that are uneven help us when we transfer objects. More times than not, when we carry objects it is not under ideal circumstances. Uneven carries help with core strength, body awareness, and will correlate more readily to our daily lives. Suitcase carries with kettlebells or sandbags are two good examples of an uneven carry. Sled Pull/Sled Drag: Pushing and pulling a sled allows for us to place a force on an object. Force production through our lower body while having stable control of our upper body is a good way to mimic normal daily movements of our ancestors that we longer have to perform on a day to day. Think about it, if you’ve had the chance to push or pull a sled in a training session it feels good, right? That’s because it’s one of the things our bodies were made to do! Arm Swinging: Hanging or climbing are movements that have also been neglected but are important for grip strength, hand-eye coordination, body awareness, and visual perception. Hanging from a bar, kettlebell swings, monkey bars, or the peg board are some examples ways we can improve our grip strength and body awareness. Our bodies were made for movement. So let’s get to it!